IPdigIT Mobilizing the right resources: Who and how much? Probably the most important but least understood aspect of a successful innovative business model is the identification and mobilization of the required entrepreneurial talent and expertise. Too often firms decide first to launch a project and then try to staff and link it with whoever is available, that is in many cases not the right people or partners. The hidden secret behind the failures of many innovative ventures is not bad technologies but bad governance, with the wrong people taking the wrong decisions or failing to take any decisions at all. The easiest way to waste an innovation opportunity is to underestimate the financial resources required over time to support the launch and growth of a sustainable business model. Great innovations are never overnight successes. Entrepreneurial talent and expertise: Who does what? (Book) Berlin, L. (2017). Troublemakers: Silicon Valley’s Coming of Age. Simon and Schuster. (Book) Ensley, M. D. (2014). Entrepreneurial Teams as Determinants of of New Venture Performance. Routledge. (Article) Allee, V. (2000). Reconfiguring the value network. Journal of Business Strategy, 21(4), 36-39. (Article) Baum, J. A., Calabrese, T., & Silverman, B. S. (2000). Don’t go it alone: Alliance network composition and startups’ performance in Canadian biotechnology. Strategic Management Journal, 267-294. (Article) Becker, Gary S. “Human capital revisited.” In Human Capital: A Theoretical and Empirical Analysis with Special Reference to Education (3rd Edition). The University of Chicago Press, 1994. 15-28. (Article) Clarysse, B., & Moray, N. (2004). A process study of entrepreneurial team formation: the case of a research-based spin-off. Journal of Business Venturing, 19(1), 55-79. (Article) Crook, T. R., Todd, S. Y., Combs, J. G., Woehr, D. J., & Ketchen Jr, D. J. (2011). Does human capital matter? A meta-analysis of the relationship between human capital and firm performance. Journal of Applied Psychology, 96(3), 443. (Article) Davidsson, P., & Honig, B. (2003). The role of social and human capital among nascent entrepreneurs. Journal of Business Venturing, 18(3), 301-331. (Article) De Bettignies, J. E., & Chemla, G. (2008). Corporate venturing, allocation of talent, and competition for star managers. Management Science, 54(3), 505-521. (Article) Eesley, C. E., Hsu, D. H., & Roberts, E. B. (2014). 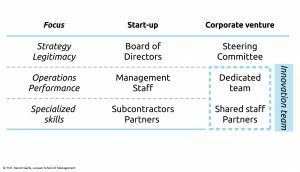 The contingent effects of top management teams on venture performance: Aligning founding team composition with innovation strategy and commercialization environment. Strategic Management Journal, 35(12), 1798-1817. (Article) Eikebrokk, T. R., & Olsen, D. H. (2007). An empirical investigation of competency factors affecting e-business success in European SMEs. Information & Management, 44(4), 364-383. (Article) Ensley, M. D., Pearson, A. W., & Amason, A. C. (2002). Understanding the dynamics of new venture top management teams: cohesion, conflict, and new venture performance. Journal of Business Venturing, 17(4), 365-386. (Article) Ensley, M. D., & Hmieleski, K. M. (2005). A comparative study of new venture top management team composition, dynamics and performance between university-based and independent start-ups. Research Policy, 34(7), 1091-1105. (Article) Ernst, H., & Vitt, J. (2000). The influence of corporate acquisitions on the behaviour of key inventors. R&D Management, 30(2), 105-120. (Article) Franke, N., Gruber, M., Harhoff, D., & Henkel, J. (2008). Venture Capitalists’ Evaluations of Start‐Up Teams: Trade‐Offs, Knock‐Out Criteria, and the Impact of VC Experience. Entrepreneurship Theory and Practice, 32(3), 459-483. (Article) Higgins, M. J., Stephan, P. E., & Thursby, J. G. (2011). Conveying quality and value in emerging industries: Star scientists and the role of signals in biotechnology. Research Policy, 40(4), 605-617. (Article) Hoenig, D., & Henkel, J. (2015). Quality signals? The role of patents, alliances, and team experience in venture capital financing. Research Policy, 44(5), 1049-1064. (Article) Lechler, T. (2001). Social interaction: A determinant of entrepreneurial team venture success. Small Business Economics, 16(4), 263-278. (Article) Mosey, S., & Wright, M. (2007). From human capital to social capital: A longitudinal study of technology‐based academic entrepreneurs. Entrepreneurship Theory and Practice, 31(6), 909-935. (Article) Partanen, J., Chetty, S. K., & Rajala, A. (2014). Innovation types and network relationships. Entrepreneurship Theory and Practice, 38(5), 1027-1055. (Article) Shane, S., & Stuart, T. (2002). Organizational endowments and the performance of university start-ups. Management Science, 48(1), 154-170. (Article) Shrader, R., & Siegel, D. S. (2007). Assessing the Relationship between Human Capital and Firm Performance: Evidence from Technology–Based New Ventures. Entrepreneurship Theory and Practice, 31(6), 893-908. (Book) Charan, R., Barton, D., & Carey, D. (2018). Talent Wins: The New Playbook for Putting People First. Harvard Business Press. (Book) Finkelstein, S. (2004). Why smart executives fail: And what you can learn from their mistakes. Penguin. (Article) Anderson, S.W., & Dekker, H.C. (2005). Management control for market transactions: The relation between transaction characteristics, incomplete contract design, and subsequent performance. Management Science, 51(12), 1734-1752. (Article) Ardichvili, A., Harmon, B., Cardozo, R. N., Reynolds, P. D., & Williams, M. L. (1998). The new venture growth: Functional differentiation and the need for human resource development interventions. Human Resource Development Quarterly, 9(1), 55-70. (Article) Cardon, M. S., & Stevens, C. E. (2004). Managing human resources in small organizations: What do we know?. Human Resource Management Review, 14(3), 295-323. (Article) Colombo, M. G., Croce, A., & Murtinu, S. (2014). Ownership structure, horizontal agency costs and the performance of high-tech entrepreneurial firms. Small Business Economics, 42(2), 265-282. (Article) Daily, C. M., & Dalton, D. R. (1992). The relationship between governance structure and corporate performance in entrepreneurial firms. Journal of Business Venturing, 7(5), 375-386. (Article) Daily, C. M., Dalton, D. R., & Cannella Jr, A. A. (2003). Corporate governance: Decades of dialogue and data. Academy of Management Review, 28(3), 371-382. (Article) Garg, S., & Furr, N. (2017). Venture Boards: Past Insights and Future Directions. Strategic Entrepreneurship Journal. 11, 326–343. (Article) Gulati, R., Puranam, P., & Tushman, M. (2012). Meta‐organization design: Rethinking design in interorganizational and community contexts. Strategic Management Journal, 33(6), 571-586. (Article) Hillman, A. J., & Dalziel, T. (2003). Boards of directors and firm performance: Integrating agency and resource dependence perspectives. Academy of Management Review, 28(3), 383-396. (Article) Kor, Y. Y., & Mesko, A. (2013). Dynamic managerial capabilities: Configuration and orchestration of top executives’ capabilities and the firm’s dominant logic. Strategic Management Journal, 34(2), 233-244. (Article) McDonald, M. L., Khanna, P., & Westphal, J. D. (2008). Getting them to think outside the circle: Corporate governance, CEOs’ external advice networks, and firm performance. Academy of Management Journal, 51(3), 453-475. (Article) Miles, Morgan P., and Jeffrey G. Covin. “Exploring the practice of corporate venturing: Some common forms and their organizational implications.” Entrepreneurship: Theory and Practice 26.3 (2002): 21-41. (Article) Nieto, M. J., Santamaria, L., & Fernandez, Z. (2015). 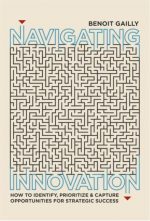 Understanding the innovation behavior of family firms. Journal of Small Business Management, 53(2), 382-399. (Article) Patel, P. C., & Cardon, M. S. (2010). Adopting HRM practices and their effectiveness in small firms facing product‐market competition. Human Resource Management, 49(2), 265-290. (Article) Patzelt, H., Zu Knyphausen‐Aufseß, D., & Nikol, P. (2008). Top management teams, business models, and performance of biotechnology ventures: An upper echelon perspective. British Journal of Management, 19(3), 205-221. (Article) Phene, A., & Tallman, S. (2012). Complexity, context and governance in biotechnology alliances. Journal of International Business Studies, 43(1), 61-83. (Article) Quinn, R. E., & Cameron, K. (1983). Organizational life cycles and shifting criteria of effectiveness: Some preliminary evidence. Management Science, 29(1), 33-51. (Article) Sanders, W. M., & Boivie, S. (2004). Sorting things out: Valuation of new firms in uncertain markets. Strategic Management Journal, 25(2), 167-186. (Article) Sine, W.D., Mitsuhashi, H., & Kirsch, D.A. (2006). Revisiting Burns and Stalker: Formal structure and new venture performance in emerging economic sectors. Academy of Management Journal, 49(1), 121-132. (Article) Wasserman, N. (2017). The throne vs. the kingdom: Founder control and value creation in startups. Strategic Management Journal, 38(2), 255-277. (Book) Andrew, James P., Harold L. Sirkin, and John Butman. 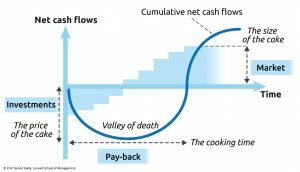 Payback: reaping the rewards of innovation. Harvard Business Press, 2007. (Book) Damodaran, A. (2009). The dark side of valuation: valuing young, distressed, and complex businesses. Ft Press. (Article) Heirman, Ans, and Bart Clarysse. “How and why do research-based start-ups differ at founding? A resource-based configurational perspective.” The Journal of Technology Transfer 29.3 (2004): 247-268. (Article) Zott, C., & Amit, R. (2007). Business model design and the performance of entrepreneurial firms. Organization Science, 18(2), 181-199.